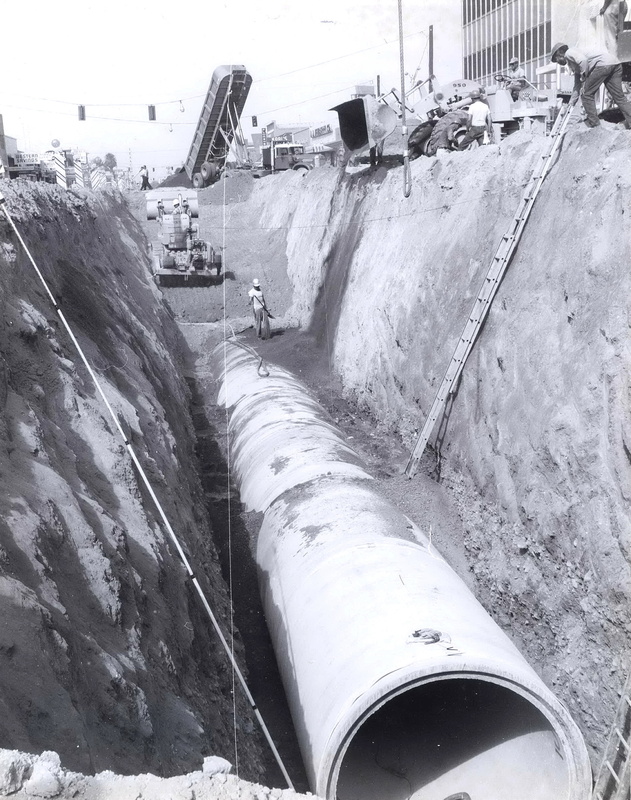 Like most communities across Arizona, the Cities of Mesa and Glendale historically considered stormwater to be a nuisance that needed to be quickly eliminated through an expensive pipe and channel system. Today is different. Mesa and Glendale are shifting the stormwater paradigm and recognizing stormwater as a resource that can be used to promote healthy urban communities. We did this by developing and advancing Low Impact Development (LID) plans and policies that foster livable, sustainable communities. LID is a stormwater management method that engages the landscape and uses native materials and simple tools to reduce runoff and pollution by storing, absorbing, and naturally treating stormwater at its source. While both Cities have had success incorporating LID practices in visible projects (the attractive streetscape redesign of 1.5 miles of Southern Avenue in Mesa’s Fiesta District and the largest installation of pervious concrete in Arizona at Glendale’s Park-N-Ride), the LID Toolkit takes sustainable stormwater management from pilot to policy. The LID Toolkit provides a user-friendly menu of LID methods, best practices, technical requirements, and construction details that will help communities benefit from stormwater, restore washes, enhance streetscapes and parks, and cool cities down at night. Funded by a Green Infrastructure Planning and Design grant from the Water Infrastructure Finance Authority (WIFA) and completed in April 2015, the LID Toolkit has had immediate regional impacts. These include incorporation of LID practices into municipal streetscape and park projects, dissemination to the development community, enthusiastic interest from multiple public agencies through ASU’s Sustainable Cities Network, inclusion by the City of Tempe in their engineering design manual, and plans to incorporate these tools and others into future Maricopa Association of Government’s (MAG) standards. With the LID Toolkit, Mesa and Glendale are advancing resource conservation and innovative stormwater management in the creation of healthy communities across Arizona. Check out the Low Impact Development Toolkit online or contact Donna DiFrancesco to receive a hard copy. Visit demonstration sites in both cities. Mesa features a bioswale planting incorporating curb cuts in front of Mesa Urban Garden, 212 E. 1st Avenue and Glendale features the Glendale Rain Garden at the Xeriscape Demonstration Garden located at Glendale Library, 5959 W. Brown Street.